PreS–Another playful and purposeful concept book from the talented and accomplished Walsh. Jumper, an adorable mouse, initiates another game of hide-and-seek unbeknownst to his little friends. They look everywhere for him—inside and outside a cave, below a tree, and even in Mole’s tunnel! Has something happened to Jumper? His friends are determined to find him. Walsh expertly uses prepositions to tell the story of the little horde of mice fervently playing hide-and-seek. Young children will feel like they are playing along as well, eager to find where Jumper may be. In the artist’s signature style, the paper-collage mice are set in the autumnal outdoors. The large illustrations are inviting and the layered textures interesting. This title is great as a read-aloud, and young listeners can identify animals, count mice, and recognize prepositions. Walsh’s latest mouse adventure is educational and delightfully fun. VERDICT Fans of the author and newcomers alike will appreciate this latest gem. 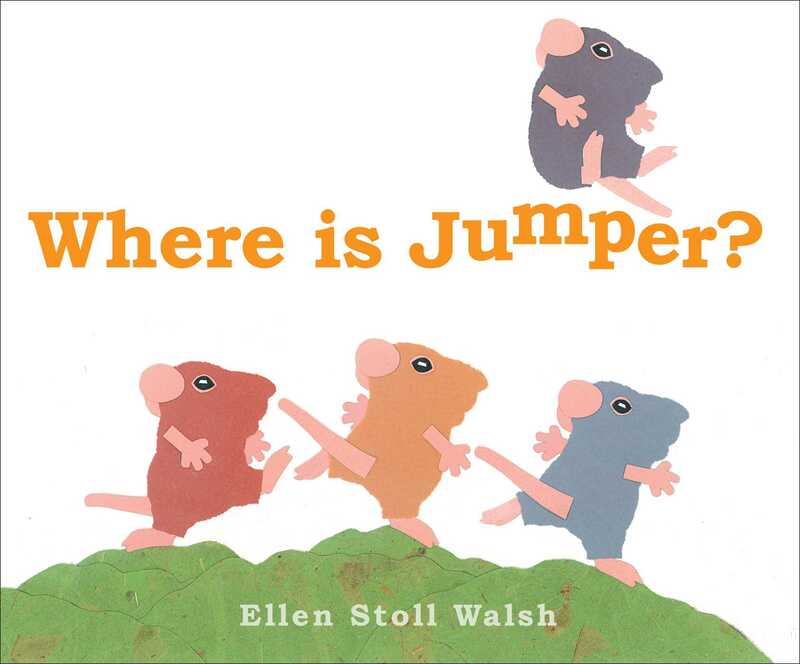 Book Cover Image (jpg): Where Is Jumper?